Make home sweet home even sweeter with the right light. 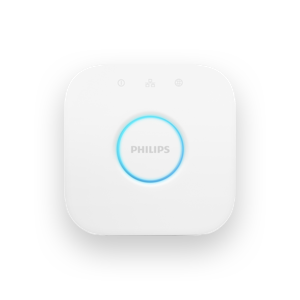 Select a room to see Philips Hue in action. Philips Hue is not just a smart bulb, it's a smart lighting system. The smart lights, Hue Bridge, and smart controls will forever change the way you experience light. These smart and energy-efficient LED lights come in a wide variety of shapes, sizes, and models to suit your space. The heart of your Philips Hue system, the Bridge acts as a smart hub, connecting your devices to your smart lights. You can add up to 50 Philips Hue lights and accessories to one Bridge. 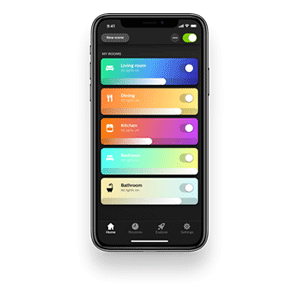 Control your smart lights quickly and conveniently with the Philips Hue app. 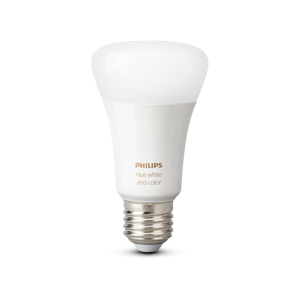 Philips Hue offers a wide range of smart light bulbs, lamps, fixtures and accessories. Whether it’s for your living room, your kitchen, your bathroom or your back-yard, Philips Hue has the perfect light. Philips Hue transforms your every day. It can gently wake you up in the morning, get you energized for the day ahead, and even give you a warm welcome when you arrive home. Because the right light changes everything. Discover all the new products and features announced at CES. Bring your home's exterior to life – from the front door to the back-yard.